In recent years the old phrase to make a long story short has undergone a shortening of its own: “long story short.” This distorted version of the original can be heard from the mouths of younger speakers (in their 20s and 30s). Here is an explanation of the change. First, the new form has a metric pattern that demonstrates the typical triumph of sound over sense, in that it is now cast in dactylic meter, i.e., a ternary meter with stress on the first syllable. The new phrase has four syllables, wherein the main stress falls on the first of the initial three (“lóng story”) followed by the single stressed syllable (“short”) of a truncated second dactyl. 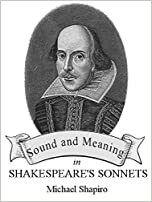 Second, the new version makes a covert iconic citation of the meaning of the older one, to wit: long story short is the result of applying the sense of to make a long story short to itself. Q. E. D.